A photo of Minister of State Joseph Harmon and businessman Brian Tiwarie at what appears to be a restaurant during their recent visit to China has raised further questions about their missions there. While Harmon and Tiwarie were in China, Tiwarie’s appointment by Harmon as a government advisor was rescinded by President David Granger. Harmon has been under pressure to disclose details of his trip to China and whether there was any connection to Tiwarie. 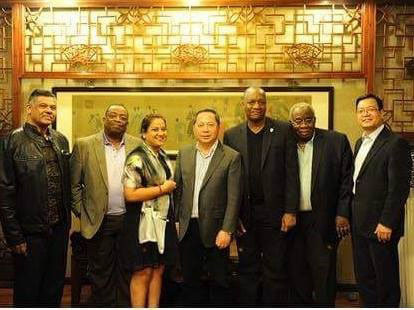 Chief Executive Officer of the Guyana National Industrial Company (GNIC) and agent for the Chinese-owned NUTECH Company Clinton Williams, who is also in the photo, yesterday said that his being part of the delegation with Harmon in China was to conduct business for his company. The photograph, which shows Tiwarie, APNU member Larry London, a representative of NICIL, Harmon and Williams in the company of two Chinese businessmen while on the China visit, yesterday began circulating on social media and was met with much criticism. Government has not to date named all of the persons that accompanied Harmon on the trip. 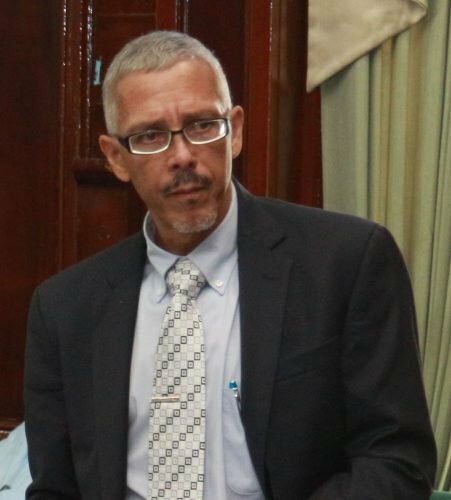 The Ministry of the Presidency, in a statement on April 1, had said that Harmon’s trip to China was for the purpose of engaging in discussions with regard to the payment of the US$5 million balance owed to the government for the purchase of 20% of phone company GT&T shares by Chinese company, Datang Telecom Technology and Industry Group from NICIL in 2012. This deal was entered into by the previous administration but only US$25 million of the agreed US$30 million was paid. 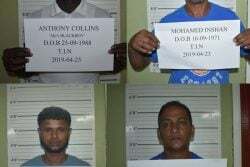 The statement had said that in-house legal counsel at NICIL Natalia Seepersaud accompanied Harmon. 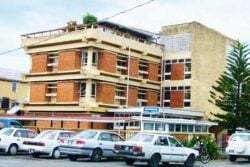 However, since then a flurry of questions have arisen about what other business Harmon undertook in China and whether there was any connection to Tiwarie. 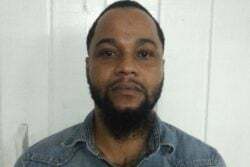 Stabroek News understands that, in addition to those persons in the photograph, there are still two other unnamed locals who accompanied Harmon to China. It is still unclear as to the roles of Tiwarie and London on the state visit. 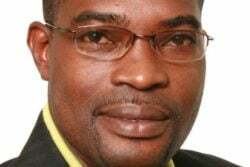 London currently heads the Guyana 50th Anniversary Celebrations Committee and is responsible for overseeing construction work at D’urban Park, in Georgetown. Williams explained that his being in China was in his capacity as representative for NUTECH given that it is the local agent for the company. Further, he explained that because of the sensitivity of the Harmon China trip, he prefers to wait on Ministry of the Presidency to give him the “go ahead” before he can speak at length on his visit. “Because of the nature of this matter, I would prefer the Office of the President to say what my trip was about. I prefer them to talk, to explain my presence. Already the Office of the President came out with a statement when I was not in the country that said I was part of the delegation,” he said. “And since they are the first person that indicated that, how am I now to tell you that I wasn’t there? Office of the President had a statement that said I went there. I would prefer if you go to them, and once I get the clearance…to make a statement about what my visit was, I will do it and I will do it in writing, so that it is not misconstrued,” he added. 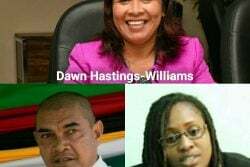 Harmon has told Cabinet that it was the Chinese Ambassador to Guyana Zhang Limin who arranged for four China-based companies, interested in investing in Guyana, to transport him to their respective offices located in different parts of the country during his visit last month. 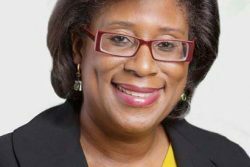 photograph, published in the Kaieteur News, which showed the minister, an attorney attached to the government holding company National Industrial and Commercial Investments Limited (NICIL) and several Baishanlin officials on a plane. A written explanation was handed over to Cabinet with respect to the photograph and a modified version of the statement was released by the ministry. The statement also said that no official release was made on the matters at that time since a prerequisite would have been a formal briefing of the President and Cabinet. 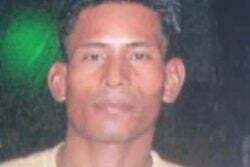 It has been more than two weeks since Harmon returned to Guyana. “The publication of a lone photograph, therefore, without seeking to investigate and report on its context was not the work of the Ministry of the Presidency. I wish to make no comment on the motivations for its publication,” the statement added.